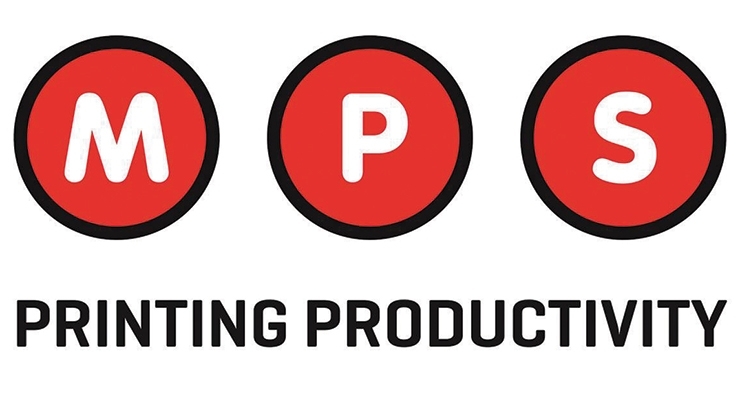 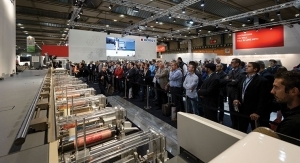 MPS is introducing a “Connectivity Platform” for its presses to MIS and color management systems, including real-time quality control up to the slitter/rewinding processes. 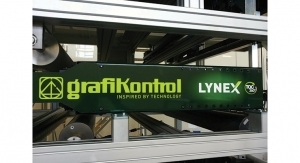 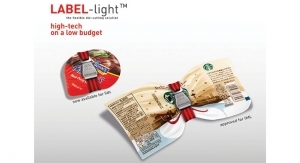 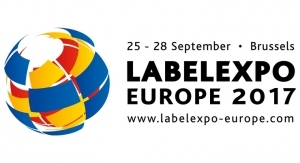 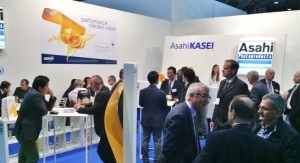 The “talk to me” concept and app is officially being launched at Labelexpo Europe. 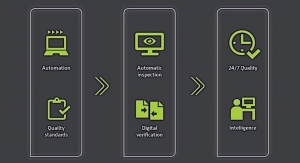 The goal for this protocol is to exchange data between the MIS and MPS printing presses, to supply real-time information required for companies to be truly productive and remain competitive. 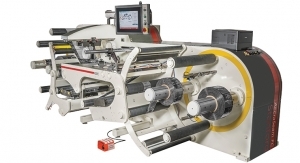 For the hybrid EF Symjet press, MPS is showing a new semi-rotary die unit, equipped with an intelligent plate mounting system. 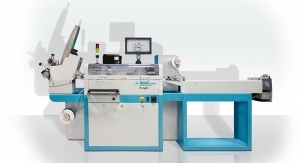 Automatic print pressure setting and control is provided by AVT’s Presco technology. 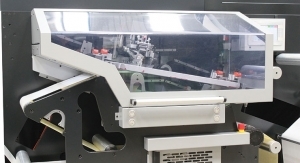 The latest version of the EB press line is being displayed with a double printhead module.